This year Andy Revkin’s Pace University course on documentary filmmaking produced their best film yet. It’s an interesting ook at the slowly shifting perception and treatment of sea turtles in Baja, Mexico from food to friend. HOW COULD YOU EAT SOMETHING THIS LOVABLE? 12 students, a couple of days of filming in Baja, and presto, a really nice short film showing the complexity of protecting sea turtles in one of their most important regions. Every spring for the past three years Andy Revkin of the NY Times co-teaches a documentary filmmaking course at Pace University with Maria Luskay where they take the students on a road trip to make a film about nature. 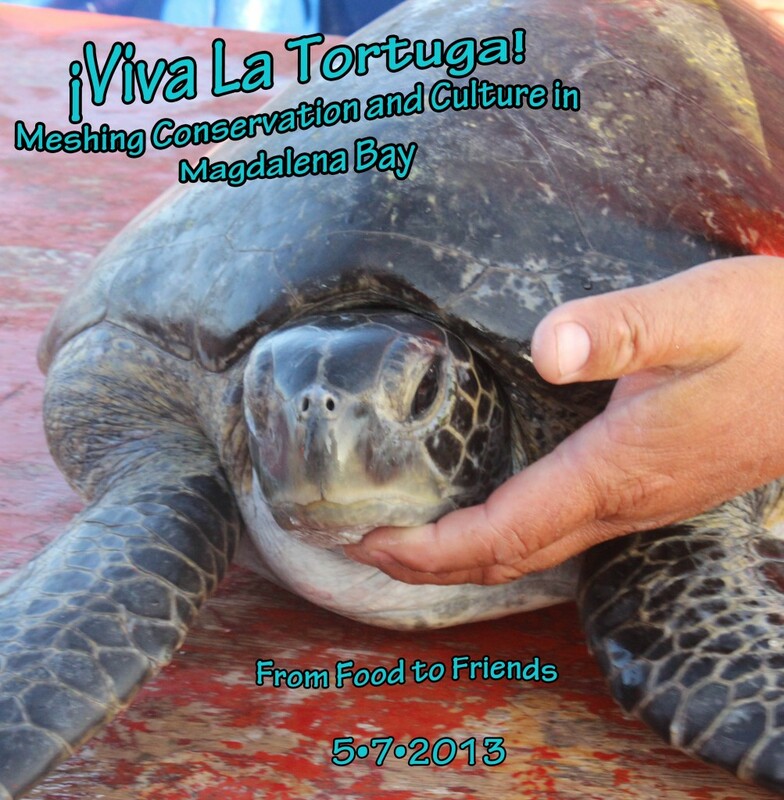 Year One was about shrimp farming, Year Two was cork harvesting, now Year Three’s class has produced a very nice 15 minute film about the plight of sea turtles in Magdalena Bay near the bottom of the Baja Penninsula in Mexico. The film captures the shifting attitudes among the fishing community towards sea turtles. Most of today’s adults were raised to see turtles as food, but are increasingly coming around to accept the need for their protection. The crew consisted of twelve students, five of whom were graduate students and most of whom had little or no previous film experience. Which makes the film all the more impressive. “I knew something was wrong,” is the core message of the film, reflected by Dr. Alonso Aguirre of the Smithsonian-Mason Conservation Center. He grew up there being fed sea turtle meat and blood until he finally realized there were better ways to appreciate sea turtles. Dr. Jay Nichols, long time turtle conservation activist, tells about a major turning point for the local issue when he helped form “Grupo Tortuguero,” starting with about 45 people gathering to discuss the fate of the turtles. They’ve changed a lot of minds and made a lot of progress, and yet … they say that still, just this spring, there are voices saying enough has been done to protect the turtles. Which serves to illustrate the endless challenge of conservation — i.e. you’re never done. It’s a great short film and further proof that the power of video as a communication tool is today within the reach of everyone.